I love the concept of these. One product that you can use on your eyes, cheeks and lips. Great concept but does it live up to it? Personally I'm going to have to say no. I love these on my cheeks. A quick sweep, blend and voila. Done and looking great, natural and understated. Lips aren't too bad either, I just find it a bit harder to apply as it's a rather large face, but it can be done and again, looks really nice. Eyes on the other hand was just a disaster for me. Sorry but it just didn't work. Really I did get these for the cheeks mainly so I'm not too disheartened. Lilac Petal is the lighter of the too, not very lilac at all I don't think, just a very pale yellow toned pink with a touch of shimmer to it. Very pretty but not too pigmented. Pink Lemonade wins it for me. 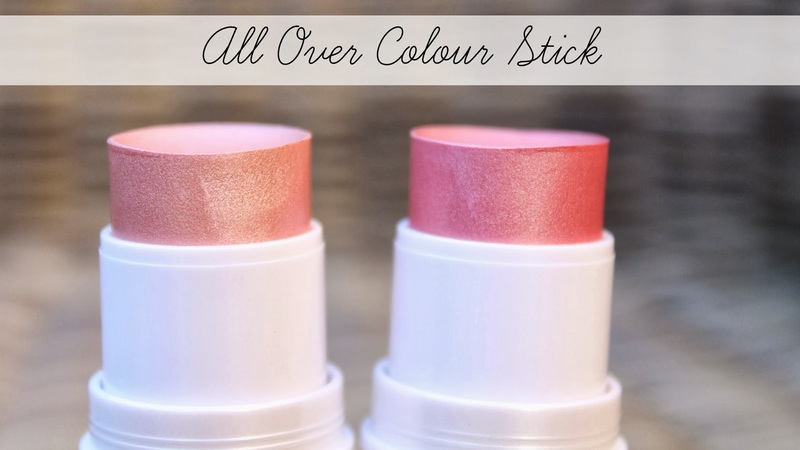 It's a gorgeous rose pink that has just the right amount of pigmentation for a gorgeous glow on your cheeks. For the price they are really nice little products. I've not used Lilac Petal an awful lot as I don't really think it does a lot, but Pink Lemonade is really cute. Have you tried any all over make up products before?